Archival and non-reactive for safe, long-term storage. Slide easily into standard magazine holders for easy shelf storage. Customize your Stuftainers with Class A’Peel™ Stickers and colorful ribbons to create categories of stamps or accessories. Our Stuftainers™ Thin, Thick, and Thicker containers are an ideal way to store almost all of your stamping products and accesories. The Thin container provides perfect storage for Cling Rubber™ and Perfectly Clear™ Stamps. Ideal for storing Stencils and Cutting Dies on Magnetic Sheets. Other thin items such as Class A’Peel™ stickers can be held securely in these containers. Use the Thin container for scraps of paper, photos, or ephemera up to 8 1/2″ X 11″ X 7/16″ in size. of glitter, and accessories such as small punches and decorative scissors. Make a darling shadow box when decorated with Class A’Peel Stickers and an 8 1/2″ X 11″ scrapbook page. The Thick container is an ideal storage solution for your acrylic stamp handles, small jars of glitter, rolls of ribbon, markers, scissors, and other accessories. 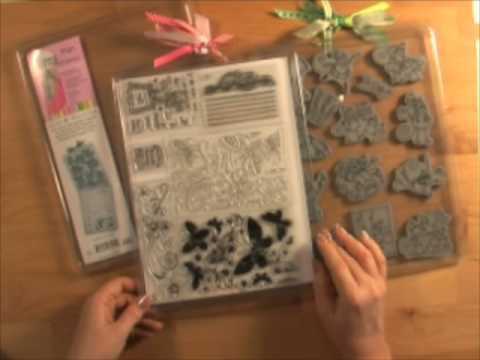 Ideal project case for collecting the elements that will become a scrapbook page or card. Makes a great Shadow Box for a scrapbook page and other Elements. MIni Stuftainers are perfect for storing small embellishments like beads, buttons, etc. You get 5 Mini Stuftainers in one package. Use them to mix your own embossing powders, and Encrusted Jewel Technique mixes. Holds 5 of our 1/2oz Glitter Jars.